After months of delays, Lenovo's first laptop with an OLED (organic light-emitting diode) screen is now shipping, but it's unclear whether the PC maker will bring out additional OLED models anytime soon. 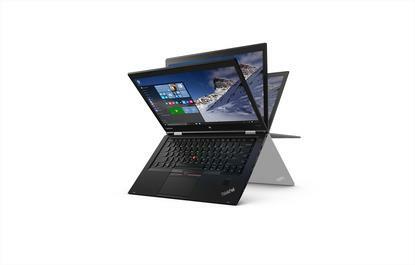 The ThinkPad X1 Yoga with a 14-inch OLED screen is now shipping for US$1,682, which is a premium price compared to the same model with a conventional LED screen, priced at $1,394. Both laptops have Intel Core i5 Skylake processors. The laptop has the largest OLED screen available. HP's Spectre x360 Convertible Laptop and Dell's Alienware 13 gaming laptop have 13.3-inch OLED screens. Like in TVs, OLED screens are eventually expected to replace LED screens in laptops and monitors, though that could take years. OLEDs are thinner, render sharper images, and are more power efficient, making them better for laptops. But only a few PC makers have shown interest in OLEDs. The displays are expensive and have problems like image burn-in that still need to be resolved. All laptops with OLEDs were delayed due to supply and testing issues with the screens. Display makers Samsung and LG are making a limited number of OLED panels for PCs and are focusing more on OLEDs for large-screen TVs and small-screen devices like wearables, which sell in larger volumes. As a result, PC makers that once showed intense excitement for OLEDs are now stepping back. HP, for one, has said it will limit OLED to premium models and wait for the technology, supply, and pricing to stabilize before bringing the technology to lower-priced laptops. There's also a catch with the ThinkPad X1 Yoga OLED model -- you can't get WiGig Wi-Fi, which is available in the LED models. The ThinkPad has a rotating touch screen that can display images at a 2560 x 1440 pixel resolution. The laptop weighs 1.2 kilograms and is 17 millimeters thick. It offers around 11 hours of battery life, according to Lenovo. Other features in the entry-level model include a 128GB solid-state drive, 8GB of RAM, and dual-band Wi-Fi. The laptop also has a 720p webcam, three USB 3.0 ports, a micro-SD slot, a Mini-DisplayPort, and HDMI display slots. If you order a laptop today, it will ship in three to four weeks.